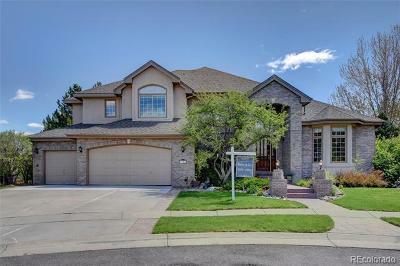 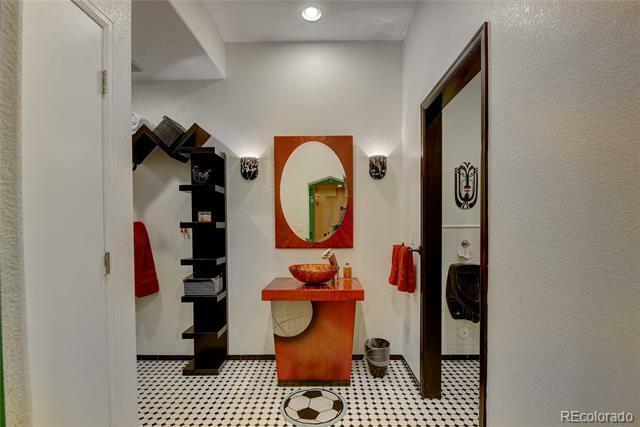 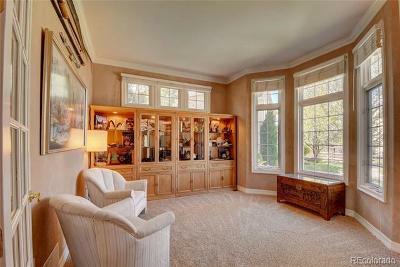 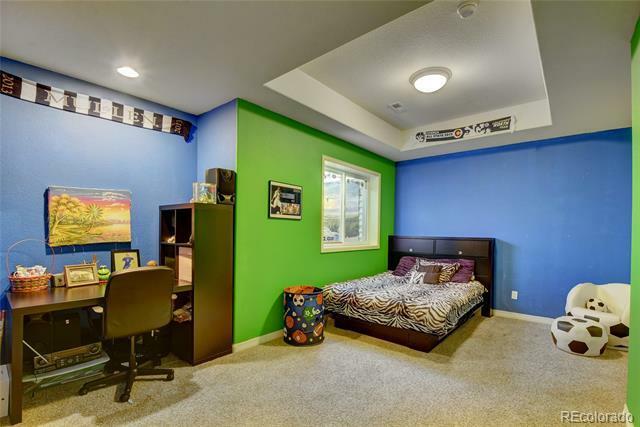 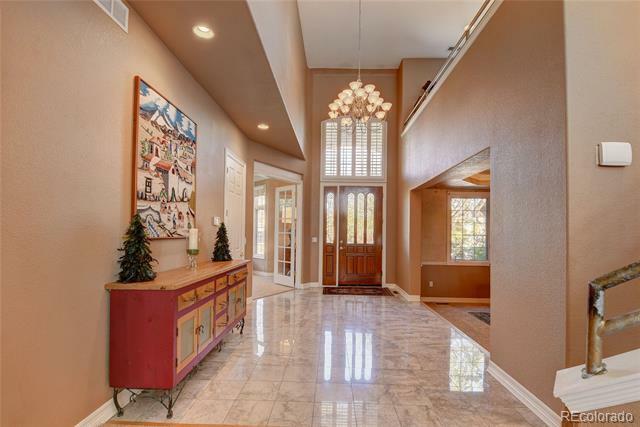 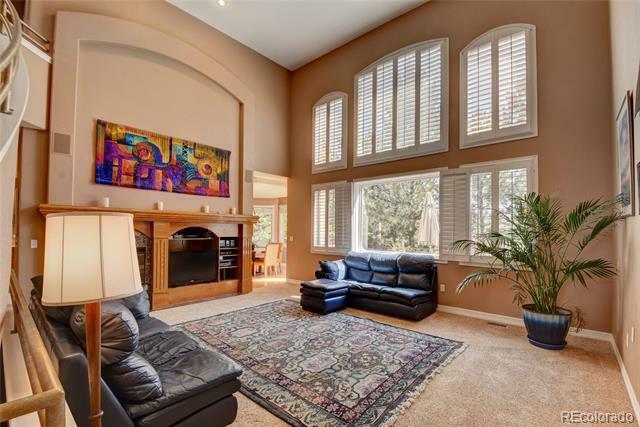 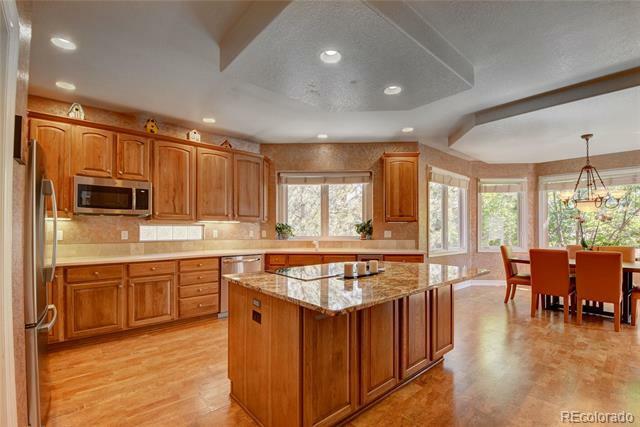 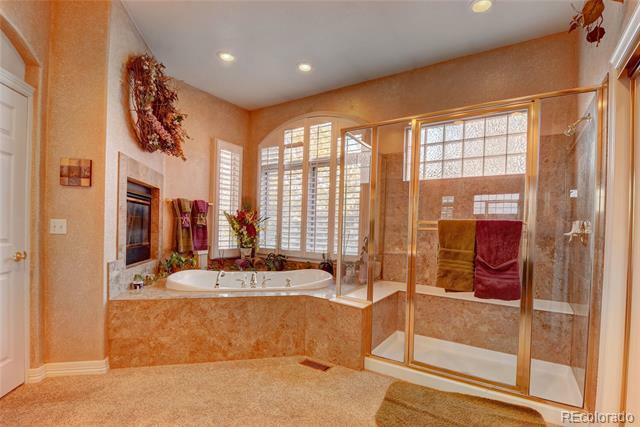 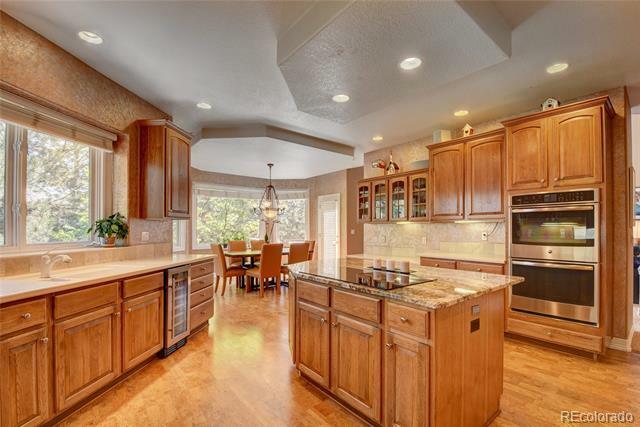 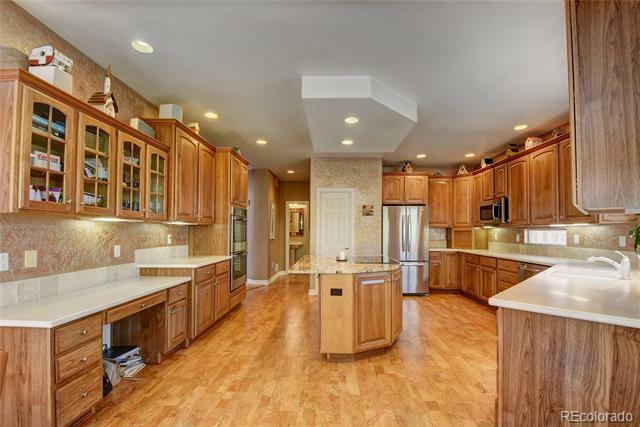 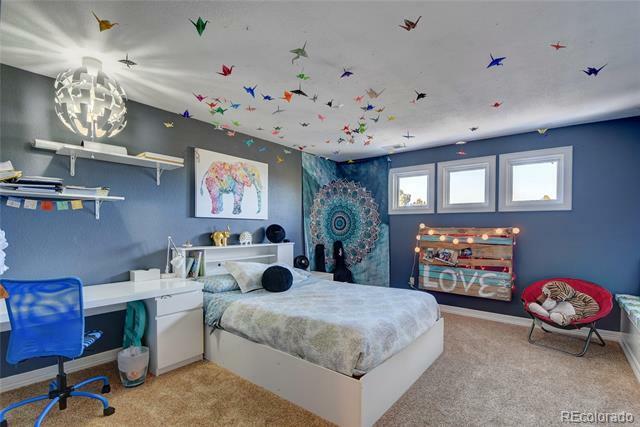 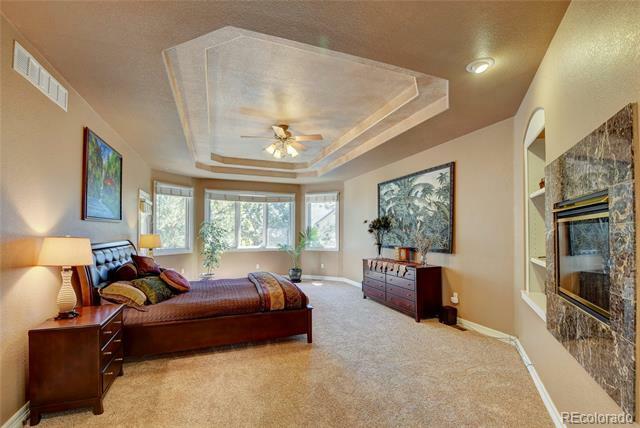 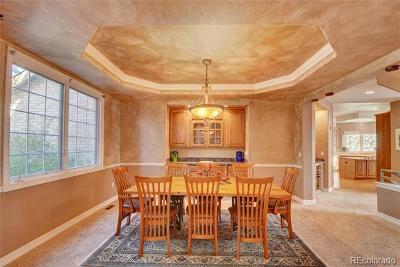 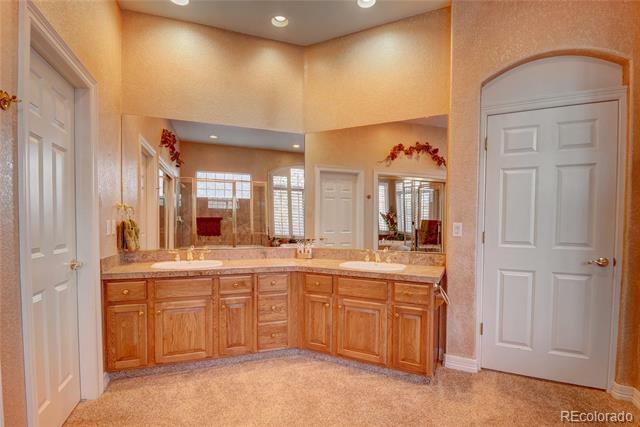 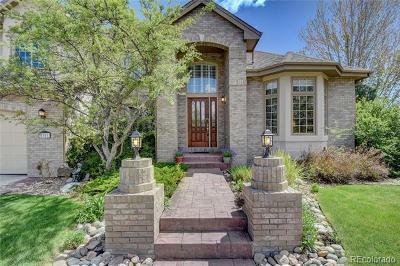 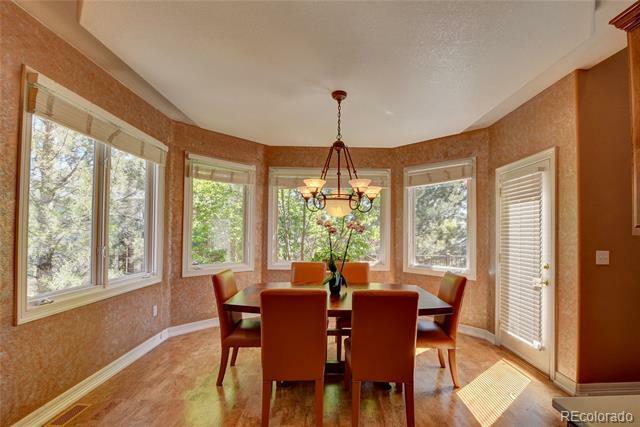 Beautiful home situated at the end of a quiet cul-de-sac in the sought after Hillsboro neighborhood in Grant Ranch. 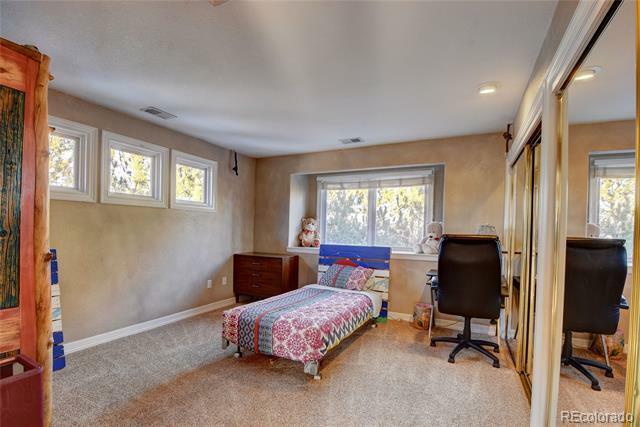 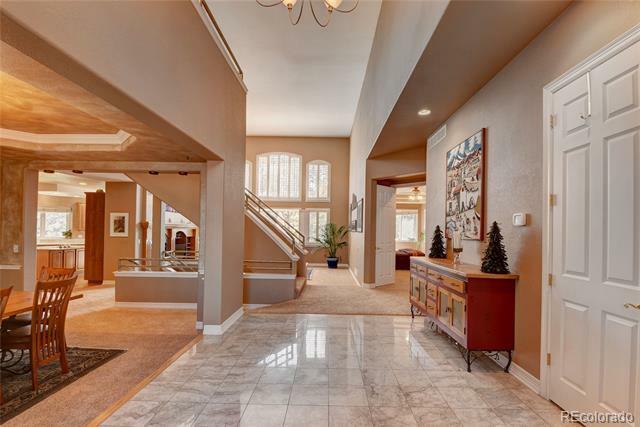 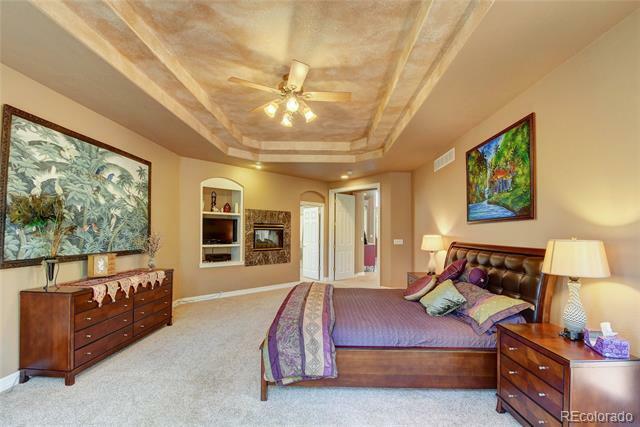 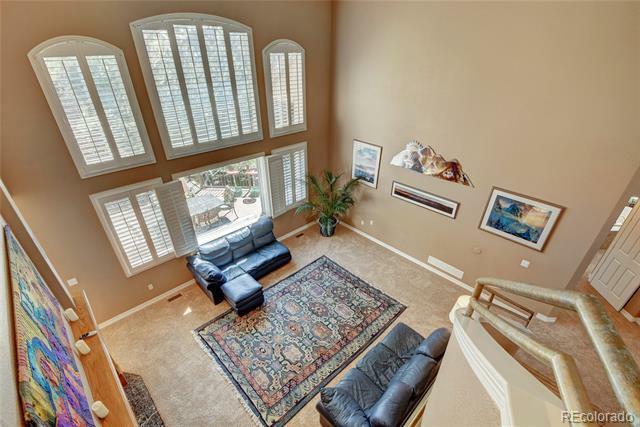 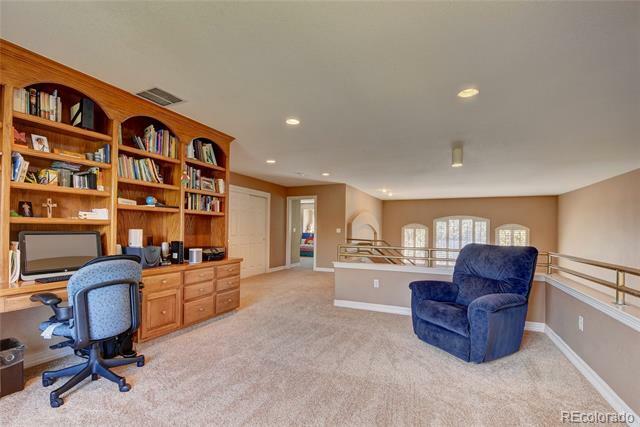 Main floor offers a study/formal living room, dining room with wet bar, eat-in kitchen, great room and main level master suite with walk out to deck. 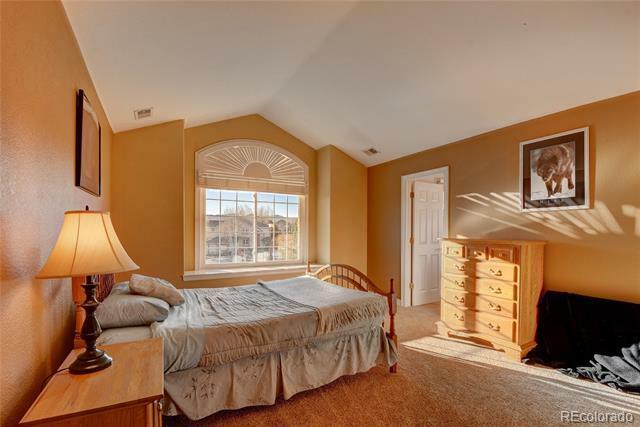 The upper level features 3 secondary bedrooms, each with an en-suite bath, and an open loft area with built-ins for office space. 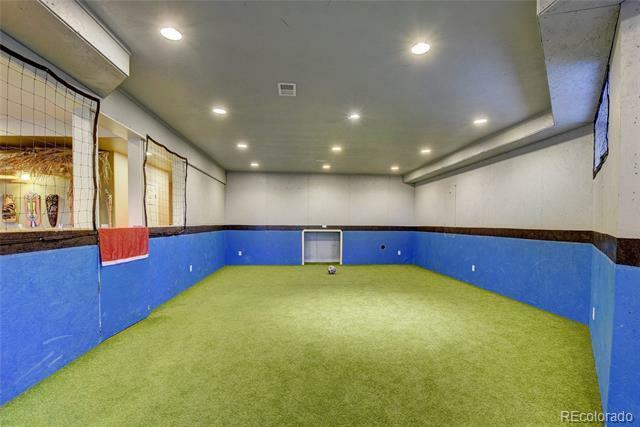 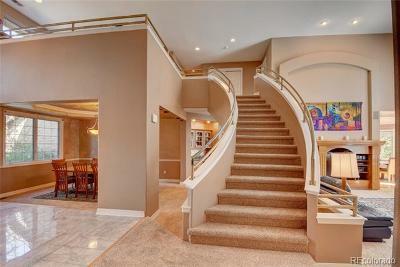 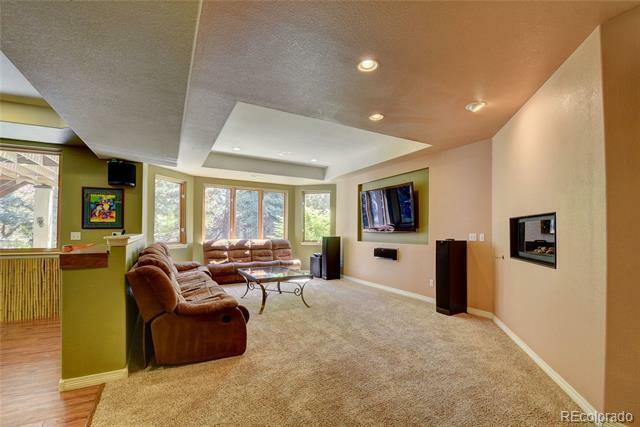 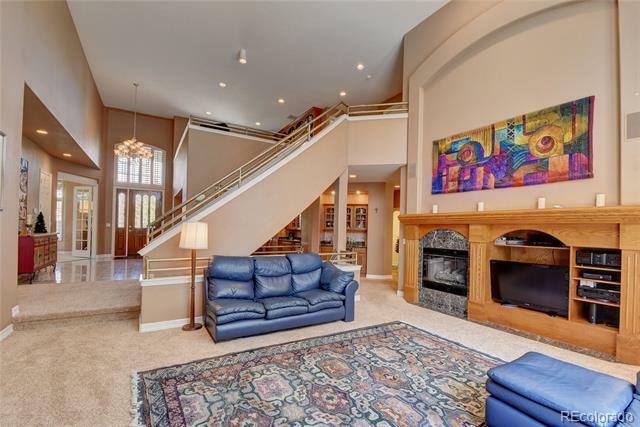 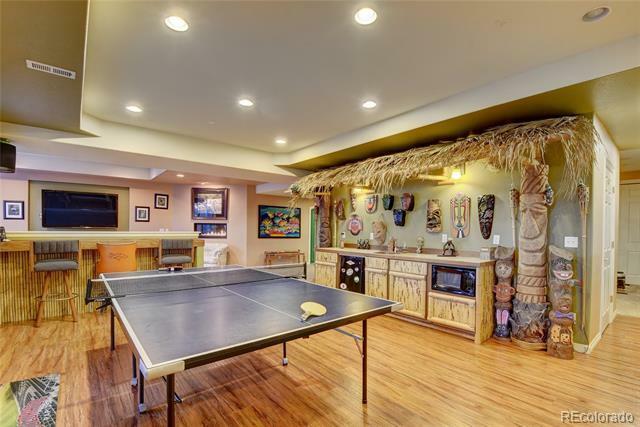 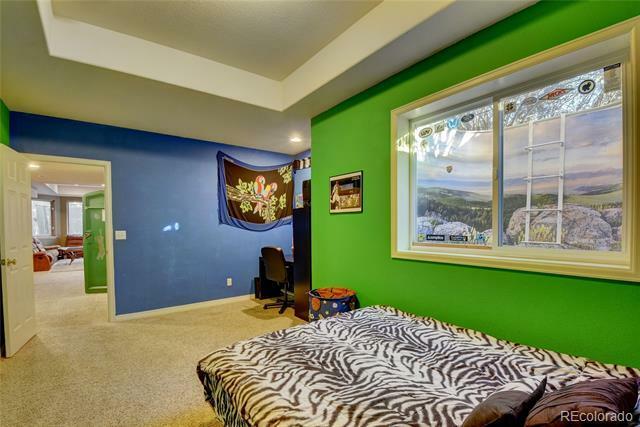 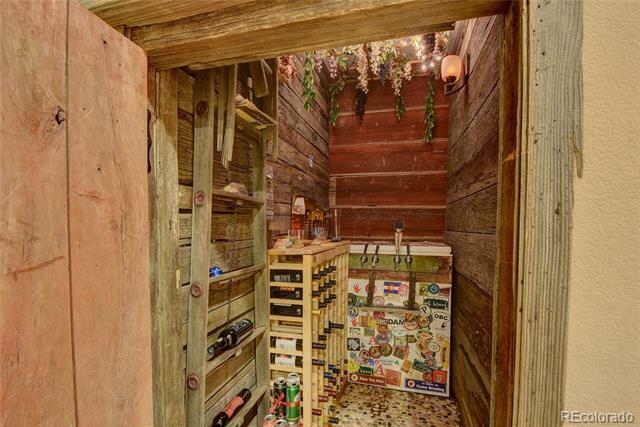 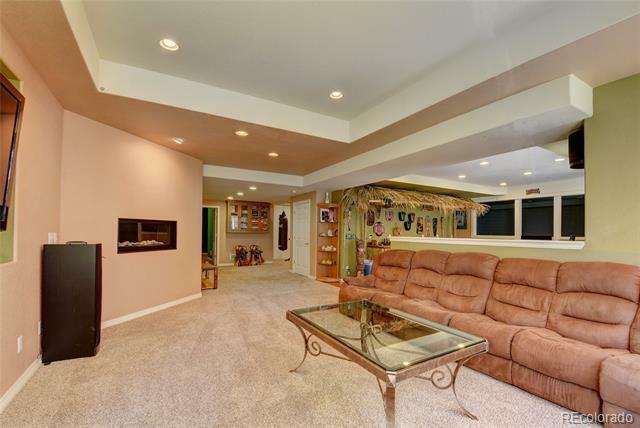 Rare, walk-out basement is designed for fun! 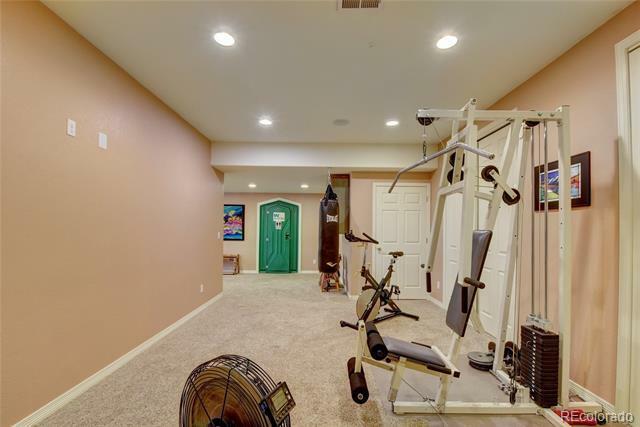 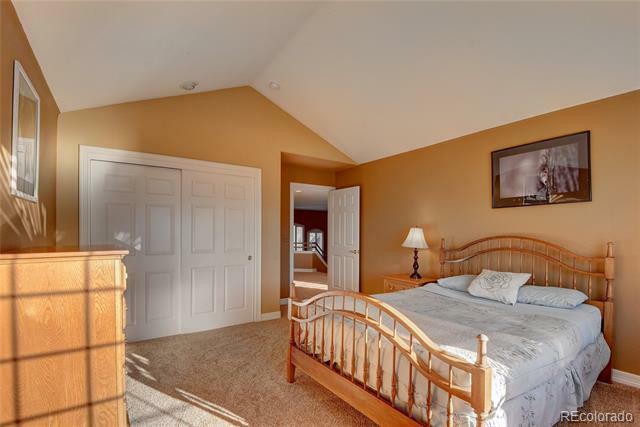 It boasts an open T.V area with fireplace and wet bar including refrigerator and microwave, wine/beer cellar, indoor sport court or flex room, workout area, plenty of storage plus a bedroom and bath with steam shower. 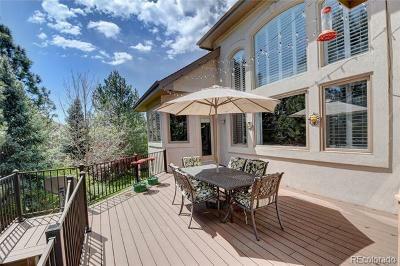 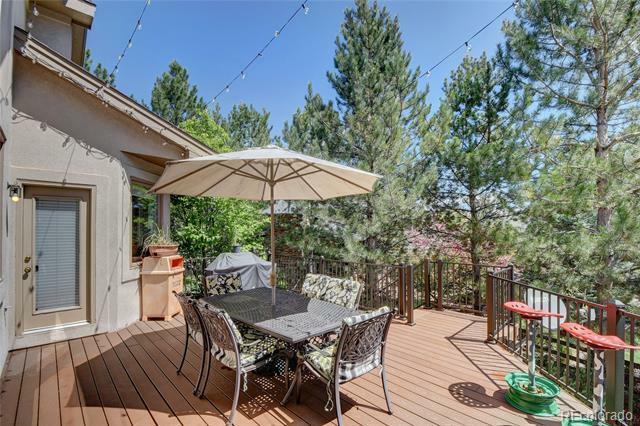 Large deck overlooks the private, backyard with plenty of room for entertaining. Updates done with an emphasis on sustainability. Many amenities of the Grant Ranch neighborhood include parks, playgrounds and trails. 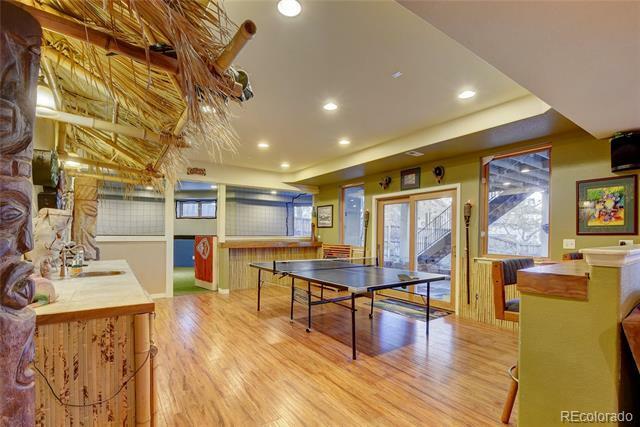 The community pool/clubhouse has a fire pit, barbeques, tennis/pickle ball courts and a lake with a marina for members use.